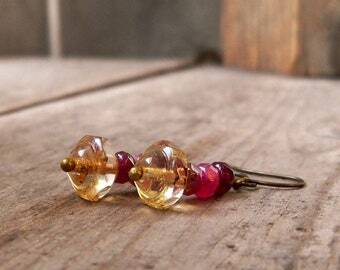 This listing is for a pair of glass bead earrings with a fabulous large Czech glass bead. 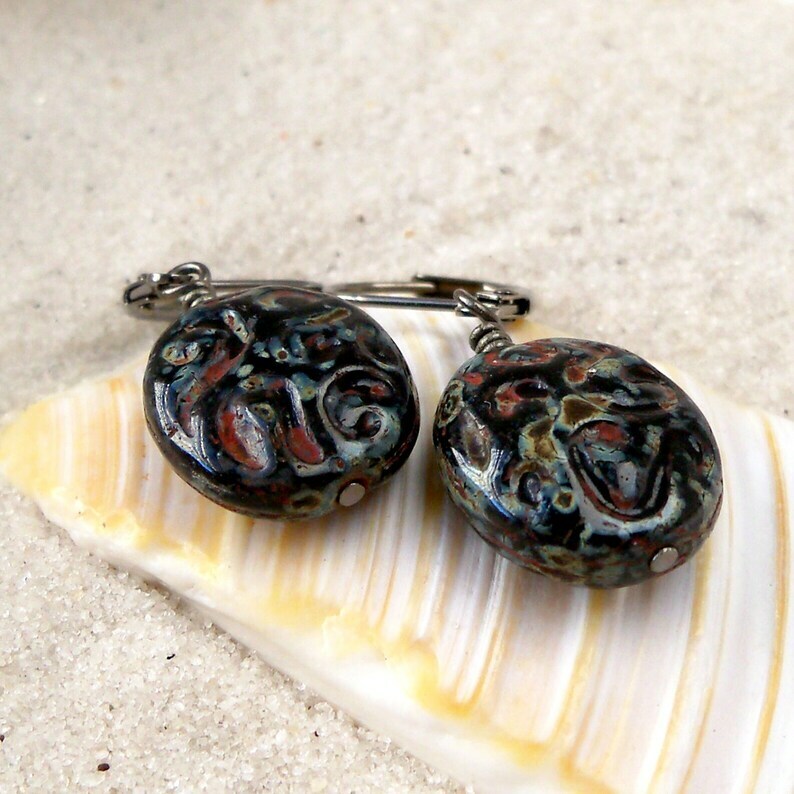 The bead is a jet black with a Picasso finish in an array of colors - blues, greens, taupe and rust. They are amazing beads. The beads are 17x14x6mm. 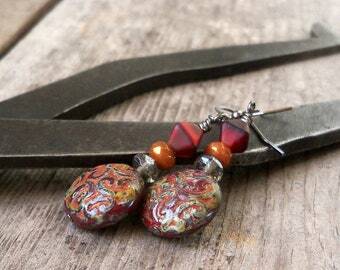 Total length for these earrings is just under 1.5 inches in length. I also have this bead available in a hypoallergenic ear wire with a connector. 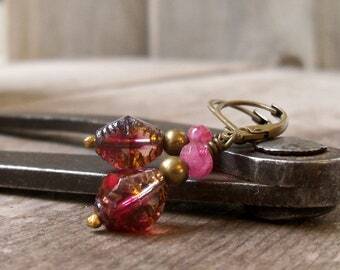 If you like the longer earrings but don't need hypoallergenic wire, I am happy to quote a price for you. 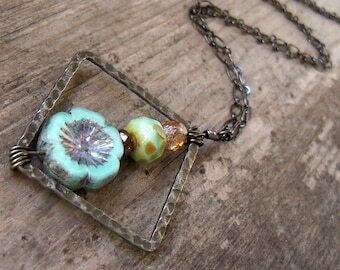 I am also happy to make this one with hypoallergenic wire as well. Here is the link to the longer pair. 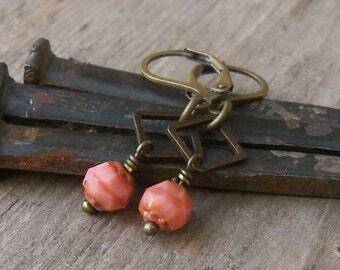 Great quality earrings. You know exactly what you are getting!